These kitchen items are going to absolutely change the way you prep food, cook, and manage kitchen duties. Studies show that 30% of your life is spent in the kitchen, while the other 70% of it is spent consuming false statistics. Okay, we don’t know the exact figures. But seeing that the kitchen is where food is stored, cooked, baked, and put together, kitchen time and clutter can really rack up. 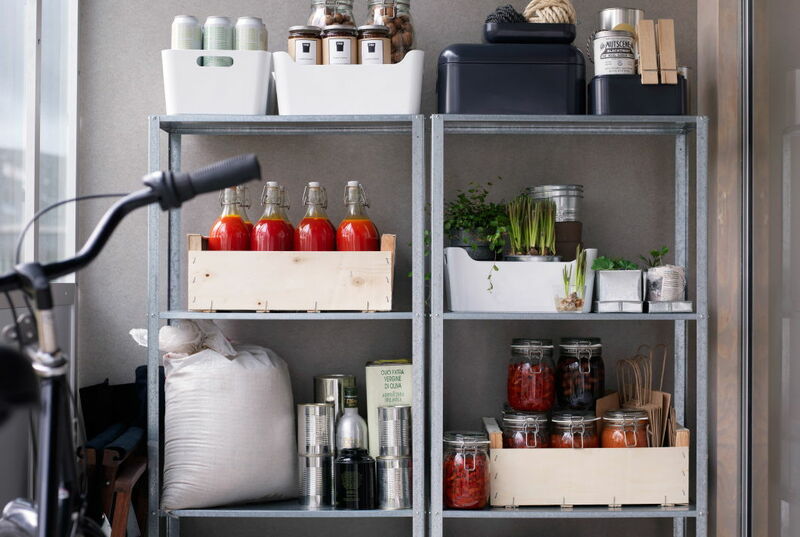 So because life could stand to be a little easier, here are value-for-money Ikea items that will change the way you use your kitchen. 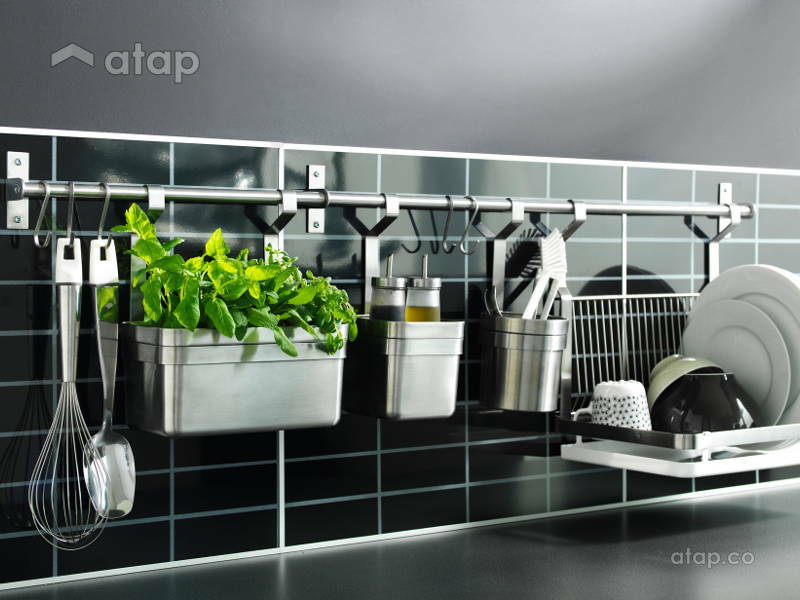 Small kitchens are a fixture in apartments and smaller homes, and with small kitchens, wall storage is the way to go. There are so many ways to use this rail – purchase other GRUNDTAL containers like the cutlery stand, or just get the S-hooks in the same series (RM5.90 or RM9.90 for 5 pieces) to hang individual utensils. 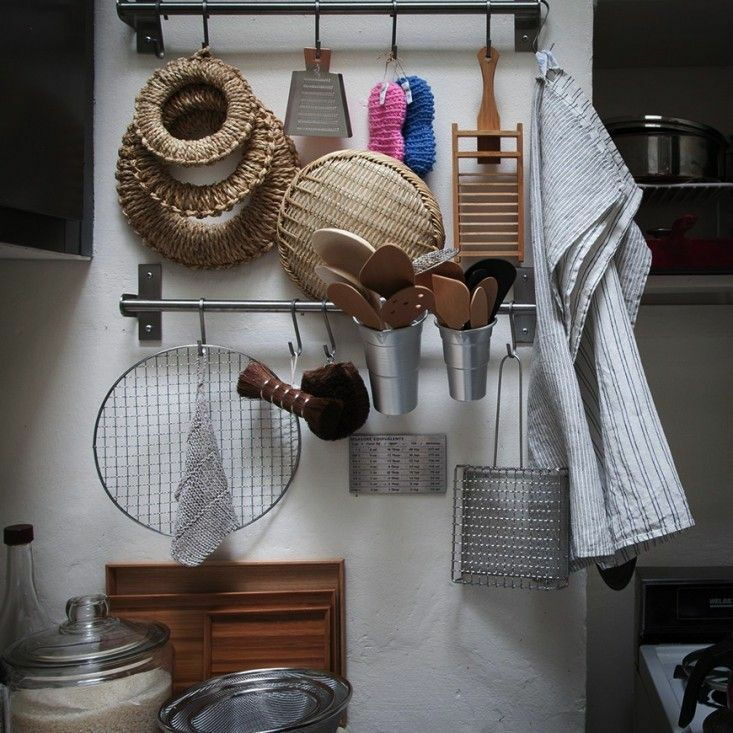 Hanging your utensils after use also means you won’t have to cloth-dry them to store into drawers. Yay, less work! Price: RM22.90 – RM34.90, depending on size. Storing your knives this way allows easy access and quick drying. 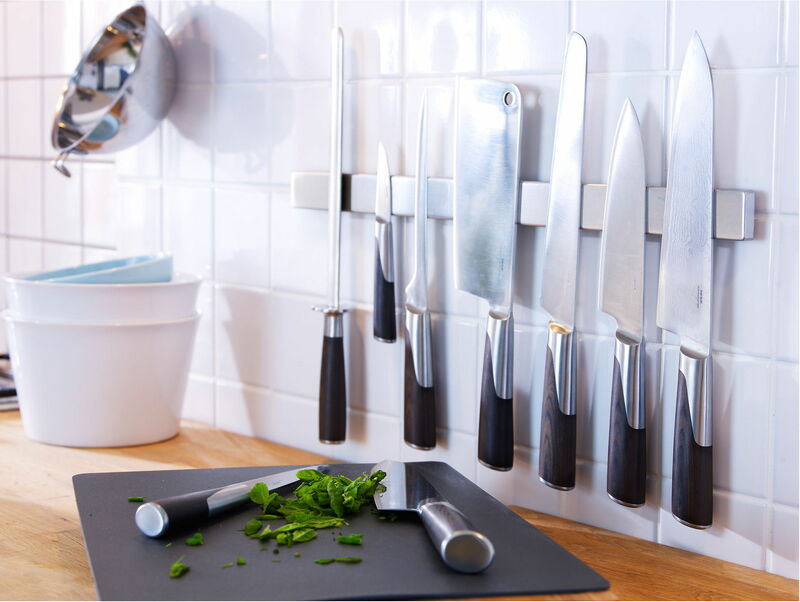 Besides knives, can stick other magnet-able stainless steel items to the rack, such as spatulas, spoons, and ladles. If you don’t have a drawer or cabinet full of chucked plastic bags, then you’re lying. 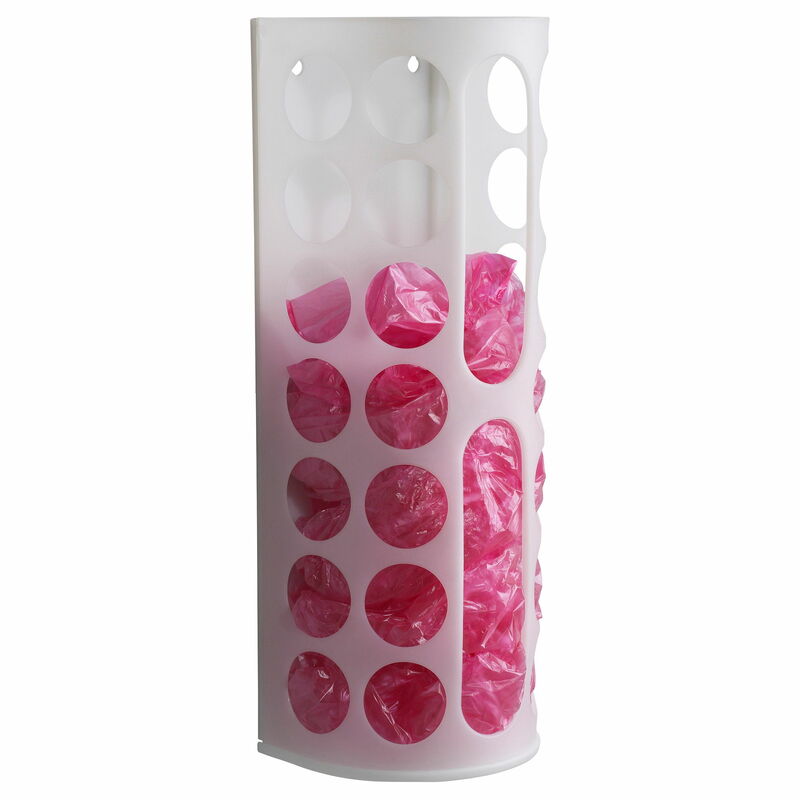 With this plastic bag dispenser, you now have a controlled way of chucking said bags, and an easy way to grab one too (via the holes). 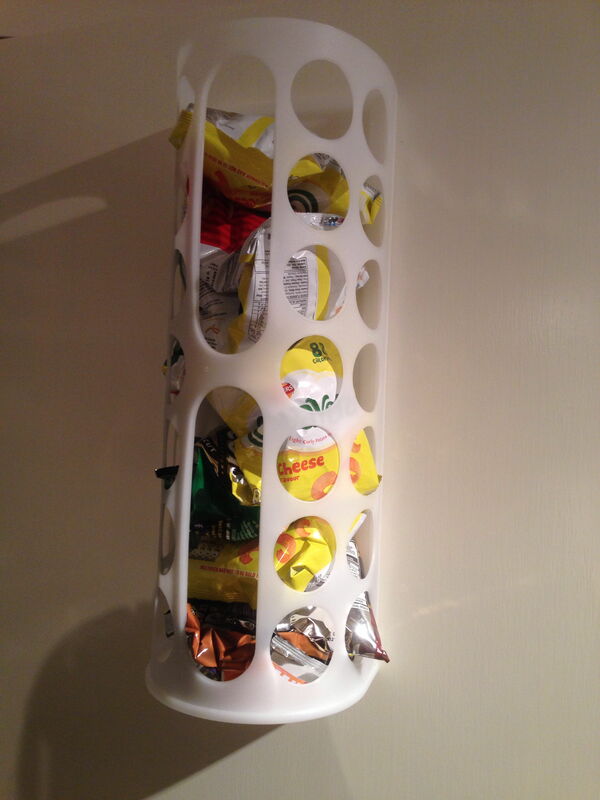 Store other kitchen items like your dish rag or potato chip collection in separate dispensers. We won’t judge. 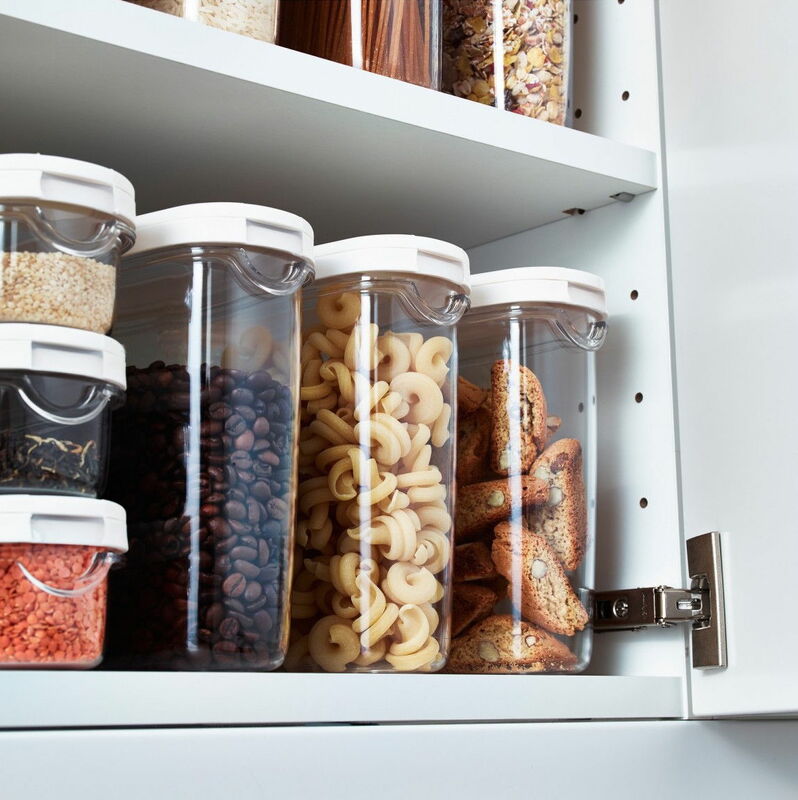 Keeping small, dry foods like beans, nuts, cereals, and pastas in their original plastic bags and boxes isn’t space-efficient. Plus, with half eaten packets of foods lying around, you’re not going to pass any surprise-mom-visit spot checks. Thirdly, sealing them with rubberbands and food sealers don’t guarantee freshness. That’s why these jars with lids are the best! 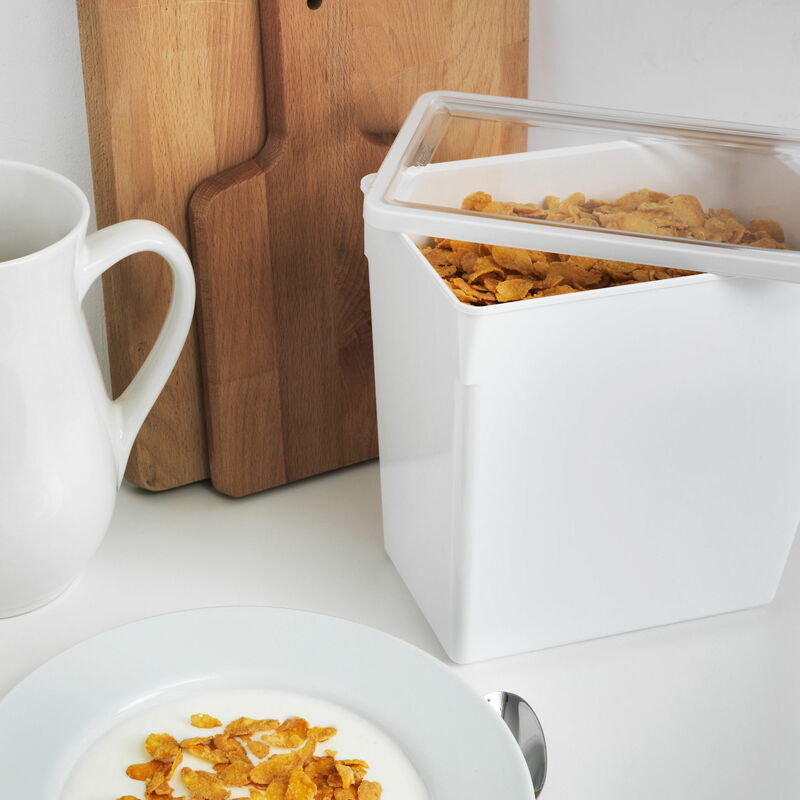 Simply pour out whatever amount you want through the half-open lids, reseal, and ta-da, cereal for dinner. 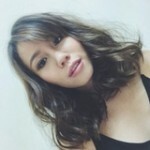 Price: RM8.90 – RM14.90, depending on size. You can keep your rice, grains, and keropok in these larger bins to keep rice weevils and sticky fingers at bay. Price: RM15.90 – RM49.90, depending on size. Keep your most accessed items on this versatile shelving unit. Whether it’s jars of biscuits, rice containers, oil bottles, or even your dry food jars (see number 4). 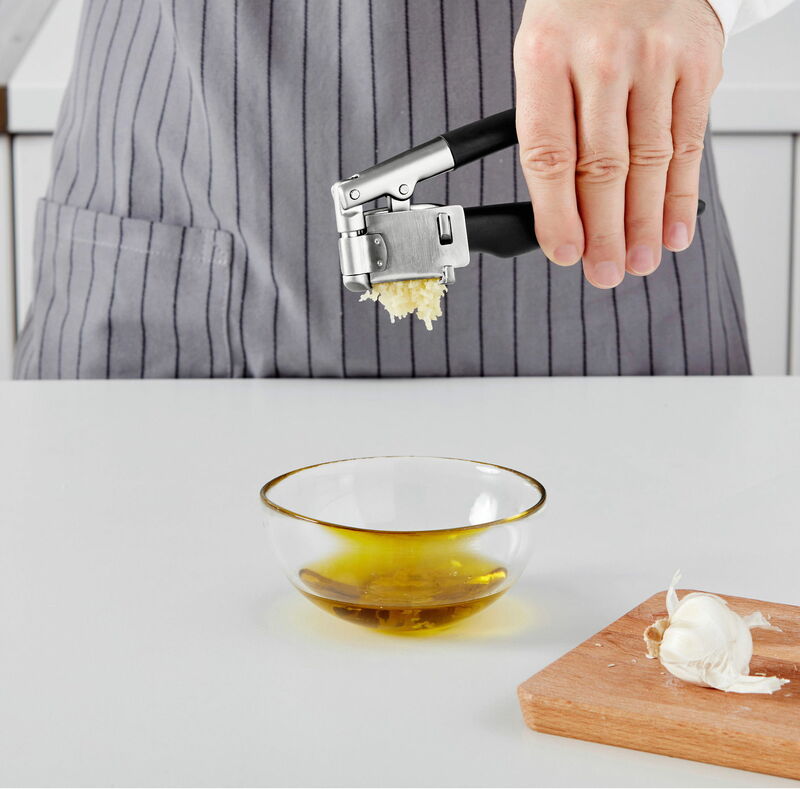 Save on stir-fry prep time with instant minced garlic; you won’t even need to peel the garlic before using the press. Kill 2 boiled carrots and some macaroni with one pasta insert. 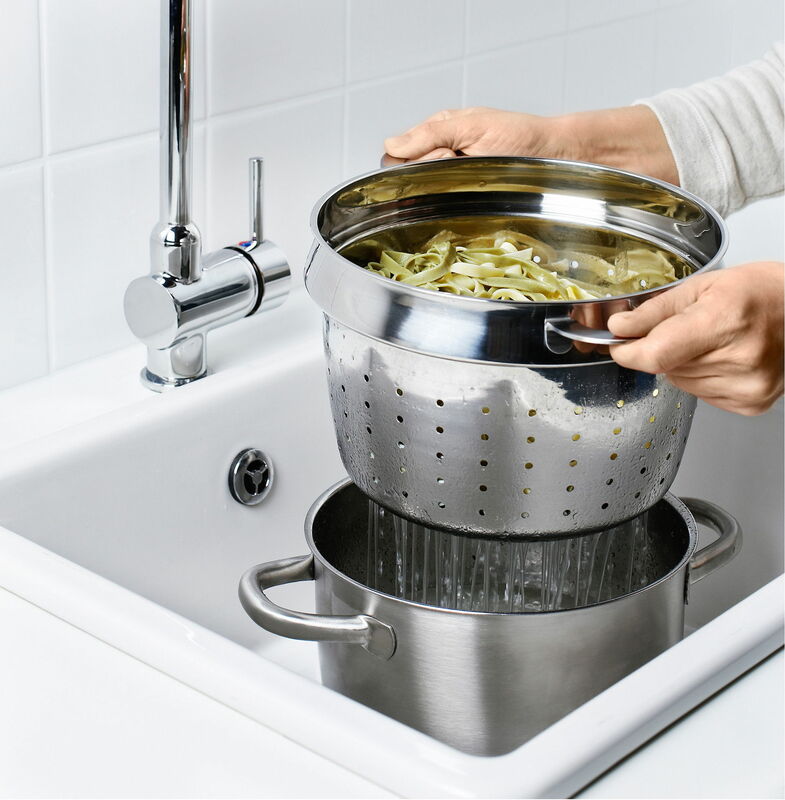 By fitting this into your pot, you won’t have to pour away hot water when you’re done boiling vegetables or pasta. All you’ll have to do is remove the insert to let the water drain out. Bonus function: use the insert on its own as a colander #win. Price: RM29.90 or RM32.90, depending on size. Time doesn’t only get impatient with men, but also with iceberg lettuce. 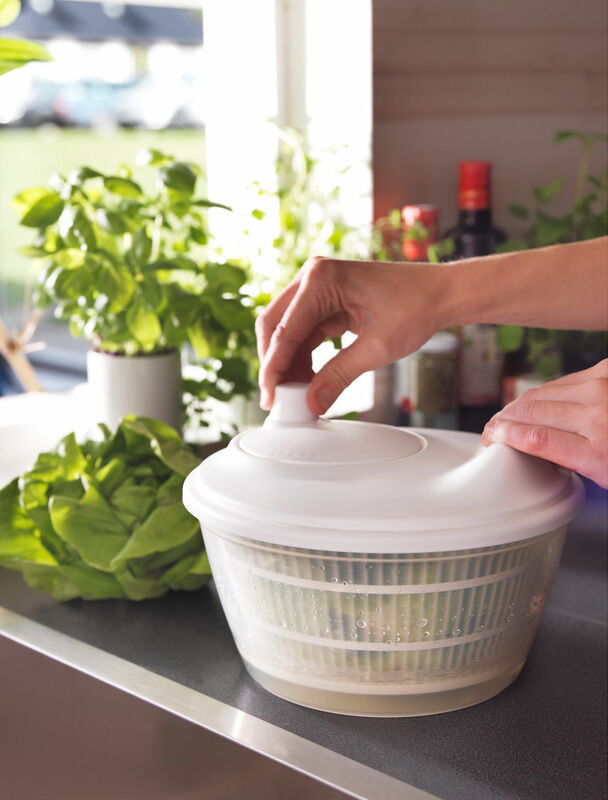 Throw your veggies in and give them a spin for quick drying. Identity crisis has never looked so good before the Klockis – turn it to different sides to read the time, temperature, and timer. 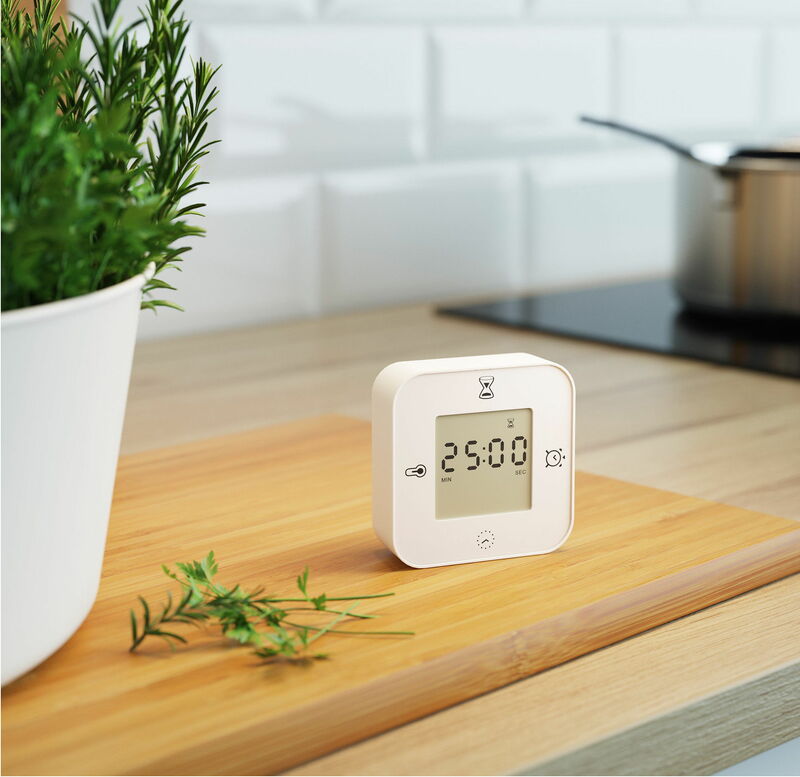 Use it to time your boiling noodles or monitor the clock to make sure that you’re not making Instant Noodle Monday on a Tuesday. Add some bling to your ice – because why not? 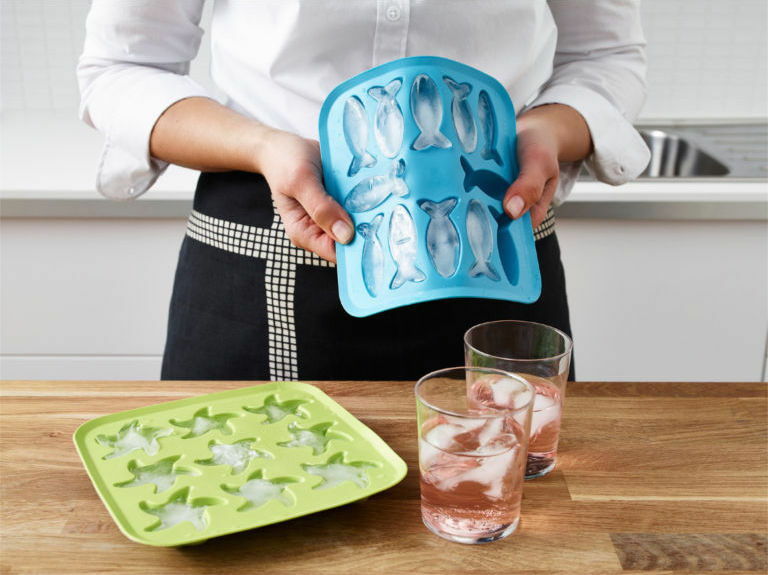 The flexible silicone material makes it so easy to remove ice from the tray, so you don’t spend needless time banging plastic trays onto the kitchen counter. Use this in your kitchen as separate trays, or leave meaths on both trays to rest before bringing them out to serve! 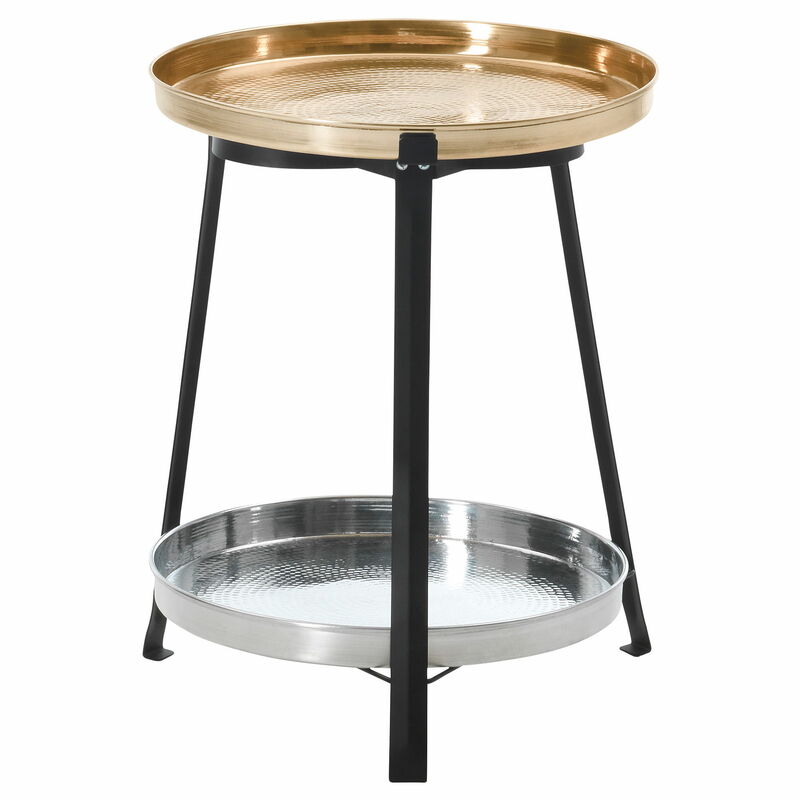 Great for foods and as a tea or coffee tray table.